Serbian composer and multi-instrumentalist Szilard Mezei has another recording out this year on Slam Productions, a further testament to his creativity, dynamism, and talent. 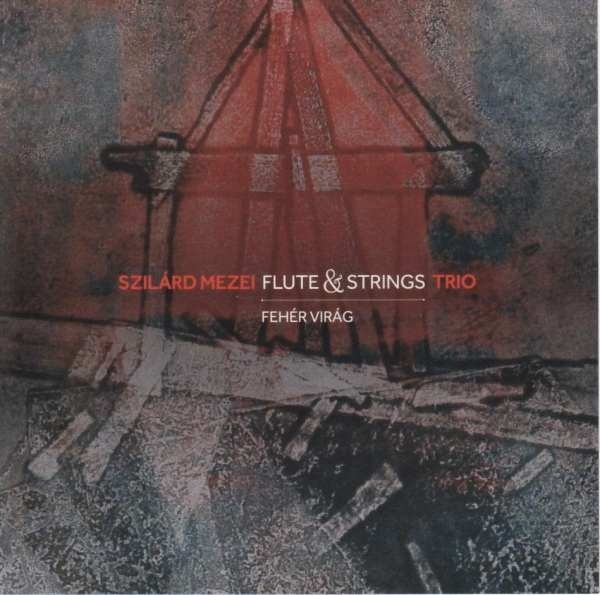 I first heard Mezei in 2008 on the excellent Nad/Reed, the first of many albums released under the Szilard Mezei Ensemble. That side of Mezei showcases his work in experimental big band jazz releases, though he works in many different arrangements and genres. The album at hand today is on the opposite end of the spectrum, an interesting trio arrangement with viola, flute, and acoustic guitar. composition, and he brings a healthy dose of knowledge in modern classical music technique, which he blends effortlessly with jazz. This can also expand to include more improvisation-based jazz, though he almost always has a strong compositional backbone. When I first saw this lineup I was intrigued, but because of my proclivities leaning more towards noisy and raucous jazz I was a little weary that I may just not be able to get into it. I had already decided in my head what an acoustic guitar, flute, and viola trio would sound like, and I was already missing the saxophone. However, my expectations were subverted, and I was very impressed with the textural qualities of all the instruments, particularly in interplay. I also really enjoy the way that Mezei plays viola, not a traditional jazz instrument, but one that has many incredible sonic qualities in the hands of a talented player. 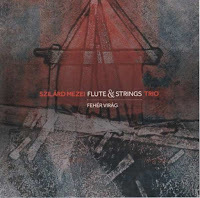 In the three compositions here, Mezei moves around from free improvisation, full composition, and dramaturgical technique throughout. The improv is wonderful, moving from full band to solos and duos, with a percussionist popping up for a little bit later on in the proceedings. There are moments of onkyo/lowercase related improv (though not as extreme as those genres), with certain notes highlighted by the silence between them. The compositions are aleatoric in technique, so they allow for a lot of improvisation between the clearer presence of melody, rhythm, and harmony. The dramaturgical elements were great to me, and added a certain amount of gravitas to the whole thing. This is music we’d probably describe as “cinematic” in a modern context, but the flute work is highly reminiscent of older stage music, particularly Wagner’s operas (and the Wagner influenced The Wood Nymph, by Finnish composer Jean Sibelius). I thought it would be a little less adventurous than my favorite kinds of jazz, and that was accurate. However, this album has a wide variety of technique that is constantly surprising and dynamic, while also retaining a unique thematic purpose. It may not be something that speaks to me personally in the way some other Mezei albums do, but it is a great testament to how bright of a talent Mezei is in composition, as well as improvisation, while building on an already very impressive and idiosyncratic style that is bound to subtly surprise, a feat in itself. A 'Best Album of 2016', not to be overlooked. Mezei is a force...and his two musical companions here no less gifted.